Two inductions on one night is a rare event. Our second inductee is the redoubtable Geoff P – an even longer time friend of this correspondent. An influential character in many ways, it was great to see GP on the BotF. Between Melinda and Geoff and our two induction witnesses, we have shared over 40 years at the same organisation – but only one still works there. Geoff is a man of unique style and deportment and it was an honour to induct him this evening. 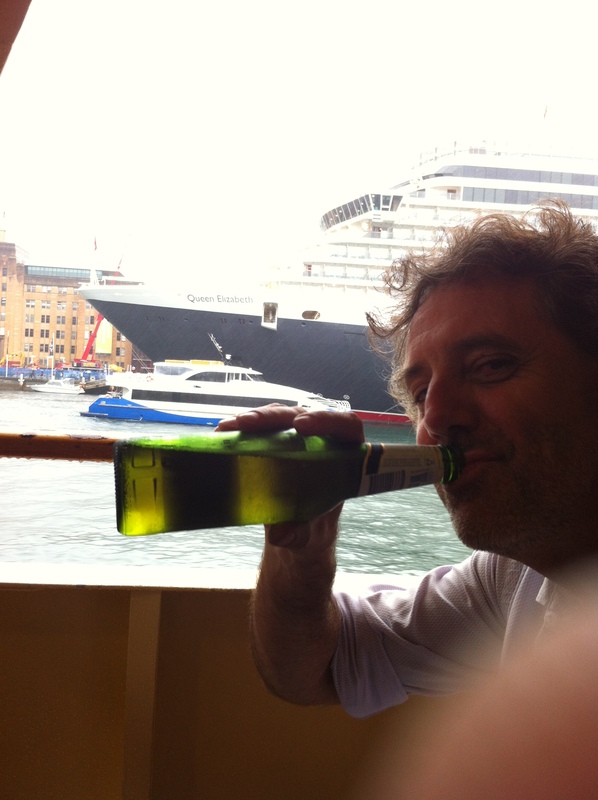 In keeping with Geoff’s unique style, his induction photo has been taken from the west side of the upstairs veranda bar, very close to the Queen Elizabeth.